Ever really think about what it was in your life that really shaped you into the gamer that you are today? Can you remember the moment? I was recently asked these questions, and it really got me thinking. I have to admit that it’s very difficult for me to remember one specific instance that really shaped me into the gamer that I am today. If I had to choose, there are two periods of my life that stand out. First let me say that I’ve played video games since before I can remember, and before that I was an infant lying on the floor watching my older brother play them. (Trust me, there are home videos.) You might think that this makes it hard for me to pinpoint a time that changed me as a gamer, but it really isn’t. You see, I was always Player 2 early on. My parents decided video games were my brother’s thing. He received the systems and games as gifts, and since they were his I was only allowed to play when he wanted me to. A big turning point for me as a gamer was when I received a Gameboy Color and Pokémon Blue for Christmas. I didn’t realize until much later that the Gameboy was my first game system, and that Pokémon was my first truly solo gaming experience. Of course, I didn’t know this at the time. I was too engrossed with actually playing Pokémon. There is even a picture of me at about seven years old curled in my dad’s old grey lounger with my head hung over my new Gameboy. I’m sure my family didn’t get to visit much with me during the time I spent adventuring through Pokémon. Everyone might be surprised that the most influential moment of my early gaming life was a time that I wasn’t even playing the game 90% of the time. I was watching my brother play through a specific game, and he would let me play the mini-games or do miscellaneous things in the game but never the story. That game was Final Fantasy VII. I’ll never forget the summer that he got that game. I don’t even think that we really knew how popular the game was, but we literally spent the entire summer playing it. I say we because I was so engrossed by it. The story, the graphics, the gameplay; I always wanted to play, but I settled for the mostly watching. I couldn’t get enough. This was the summer that we snacked instead of really eating. My diet consisted of nachos, Pizza Rolls, Bagel Bites, and delicious popsicles. I can honestly say that this was when we starting choosing what we now call gamer food. That is, the food that is chosen for ease and convenience. I’m also pretty sure we never changed out of our pajama’s either. I digress. 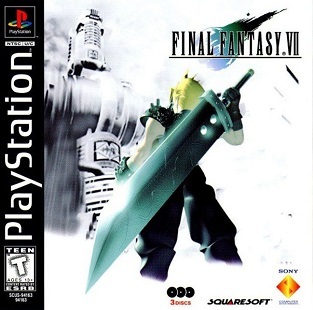 Final Fantasy VII wasn’t the first in the Final Fantasy series that I had seen, but it was the first that I got to experience more. It was the game that got me hooked on the series, and since I’ve become quite an avid fan. That game, easy snacks, and comfy clothes made up a summer that shaped me the most as a gamer. I found my niche and my passion within the gaming world, and I haven’t turned back since. It’s nice to look back on those moments, and it was even nicer to share them with everyone. It really makes you think about the things that make you feel nostalgic. I can’t take the credit though. A representative from a company called Man Crates sent me a request to see if I was interested in writing about those key ingredients that shaped me as a gamer. For those of you that don’t know what Man Crates are, you should — Shame on you. Haha, I’m just kidding. They’re essentially crates that contain a bundle of quality goods for any man in your life. I’m not talking about cheap colognes, ties, socks, and boxers. They also have a new offering where they cover a gift card in concrete to be smashed open by your man — No, I’m not kidding. This company really represents Go Big or Go Home, in my opinion. Did I mention that all the macho goods come in a wooden crate? Yes, you have to use a crowbar to get these bad boys open. I feel like that’s a manly gift in itself. Give him a wooden crate, a crow bar, and watch as he gets to show off his strength by opening it. So if that sounds like something you would gift to someone, click their logo below!